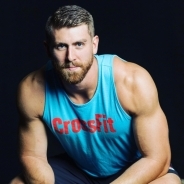 Spencer Hendel is a six-time individual CrossFit Games veteran, competing in every CrossFit Games from 2009-2012 and 2015-2017. Though a bubble athlete frequently on the cusp of qualification, fans were shocked when he missed qualification for this first time in 2013 and then again in 2014, each by just one place. But Hendel proved he wasn’t down and out just yet with a comeback in 2015, returning to the Games and taking a career-best finish of fifth place. Head Coach of CrossFit One Nation in Waltham Massachusetts and a member of the CrossFit Level 1, Level 2, and Competitors Course Seminar Staff, in 2016, Hendel shared the field with his father Andrew Hendel, who took seventh in the Masters Men 55-59 Division.